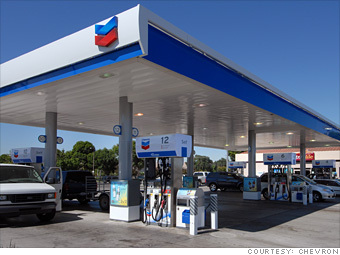 Chevron has managed to hold strong throughout the tough economic environment, raising its net income by 41.4% in 2011, up from just over $19 billion in 2010. The company is also generating a lot of positive buzz surrounding its development of a new ethylene plant -- one of the first to be built in the U.S. in more than a decade. The expansion comes at a time when lightweight plastics derived from ethylene are in high demand for the production of electric vehicles. According to market analyst firm Frost & Sullivan, the use of plastics in EVs is expected to reach a market revenue of $73 million by 2017, up from $500,000 in 2010.� -- S.J.